From WWE to WCW and beyond, these are some moments that true fans will never ever forget. At WCW's 1990 Capital Combat pay-per-view, Ric Flair (flanked by his Four Horsemen cohorts) was set to do battle with Lex Luger for the WCW World Heavyweight Championship, but Luger's best pal Sting wasn't going to just sit idly by and let the heel stable cheat their way to another victory. In the buildup to the big event, Sting announced he had some backup… in the form of Detroit's cybernetic dealer of justice, Robocop! What better way to promote the release of Robocop 2? 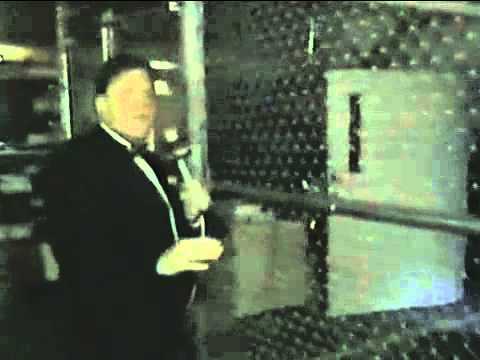 When Capital Combat came around, Flair's Four Horsemen cronies, Sid Vicious, Ole, and Arn Anderson attacked Sting and locked him in a cage at ringside. That's when the titanium supercop burst onto the scene (read: slowly meandered down the entrance ramp), and tore the door off the hinges of the cage, freeing Sting, and causing the Horsemen to flee. 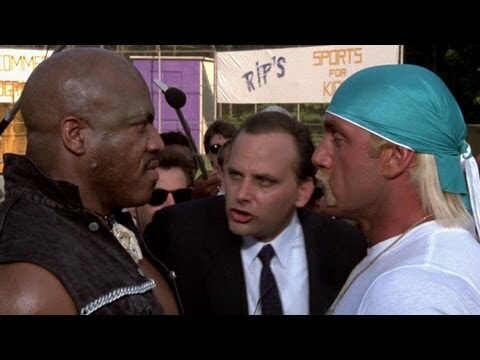 Although originally just a fictional character created to oppose Hulk Hogan's Rip in the film No Holds Barred, Tiny Lister reprised his role as Zeus in the squared circle. The Human Wrecking Machine, as he was sometimes called, was furious, wanting to seek revenge for his loss in the movie (not to mention for Hulkster receiving top billing over him). Zeus and Hulk went on to do battle on three different occasions. The first was a tag match at SummerSlam '89 between Hulk Hogan and his sidekick Brutus "the Barber" Beefcake against Zeus and "Macho Man" Randy Savage, where Hogan and Brutus were victorious. The second was at Survivor Series '89 where The Hulkamaniacs (composed of Hogan, Jake Roberts, and Ax & Smash of Demolition) took on the Million Dollar Team (Zeus, Ted DiBiase, The Warlord, and the Barbarian). Team Hogan was victorious once again. The final battle took place at an event titled No Holds Barred: The Match/The Movie and was a rematch of the first tag with Hogan/Beefcake vs Zeus/Savage, but this time in a steel cage! Hulk picked up his third victory, and Zeus never appeared in a WWE ring again. 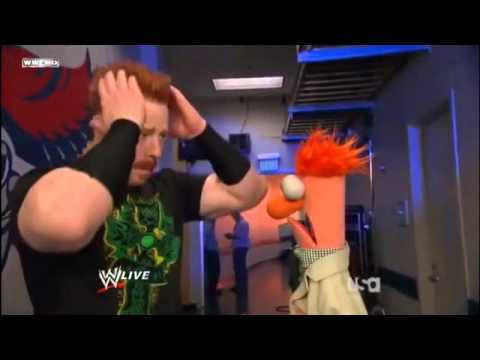 Over the last few years, the lovable, hilarious puppet cast of Jim Henson's The Muppet Show have made a number of appearances on WWE Raw, interacting with a number of WWE superstars. Some highlights include: Gonzo getting stretched by Dolph Ziggler and Jack Swagger, Beaker having a brief family reunion with his cousin Sheamus, Kermit getting a kiss from Kelly Kelly, Miss Piggy getting handsy with John Morrison's abs, and Animal ringing the ring bell before a match. #27 on Who Should Host the Oscars? Sometimes it's important that the World's Greatest Detective step outside of Gotham City to pursue a case. In this instance, the destination was Memphis, and the criminal was none other than Jerry "the King" Lawler. 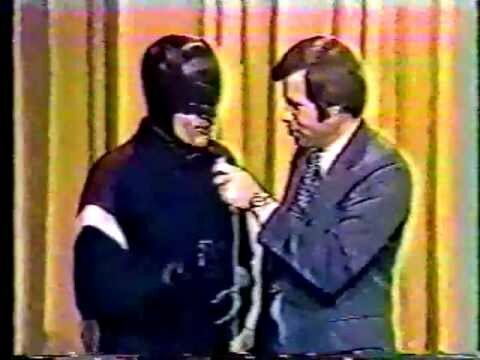 Batman (played by Adam West, arguably the greatest live-action incarnation of the Dark Knight) barged into CWA Memphis Wrestling sporting his signature cowl and a tracksuit (he's undercover, after all) to call out Lawler, and accuse him of colluding with Mr. Freeze and the Penguin. After an exchange of words, Lawler made his exit. We can only presume, as inferred by the interviewer, that this heated rivalry was settled off-screen at a local Memphis car show, which is probably the real reason Mr. West was in Memphis to begin with.